The Lion-engined D.H.9A G-EBGX, named Aurora, modified by John Ken­worthy for competing in the 1923 King's Cup Race. The air­craft was eventually sold over­seas. 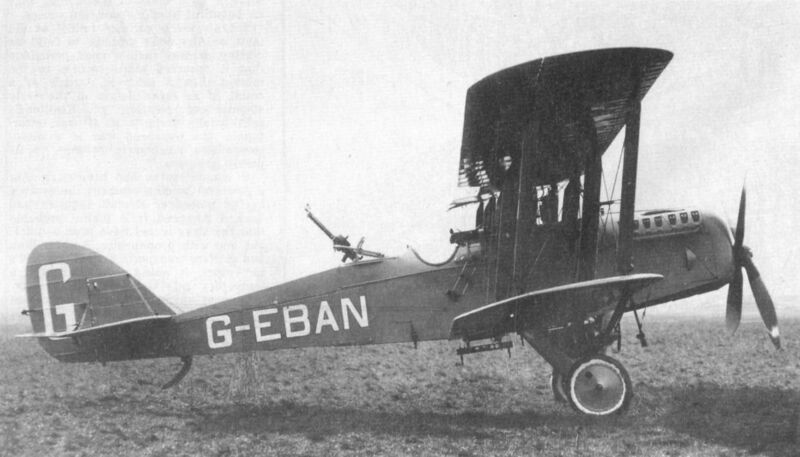 G-EBAN was also fitted with the 350 h.p. Eagle VIII and, with full armament, was ferried to the Spanish Air Force by the Aircraft Disposal Company. 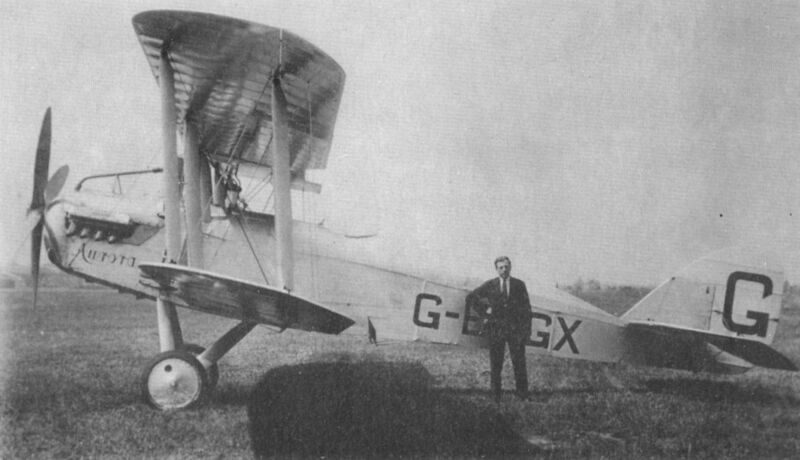 D.H.9A G-EBCG was fitted with a 350 h.p. Rolls-Royce Eagle VIII for competing in the Croydon Whitsun Races in 1922. The standard nose radiator was later removed in favour of small side radiators, in which form the D.H.9A competed in the 1922 King’s Cup Race. G-EAXC was a brand new D.H.9A converted by the Air­craft Disposal Co., in 1922 and competed in the Coupe Lamblin race of that year. 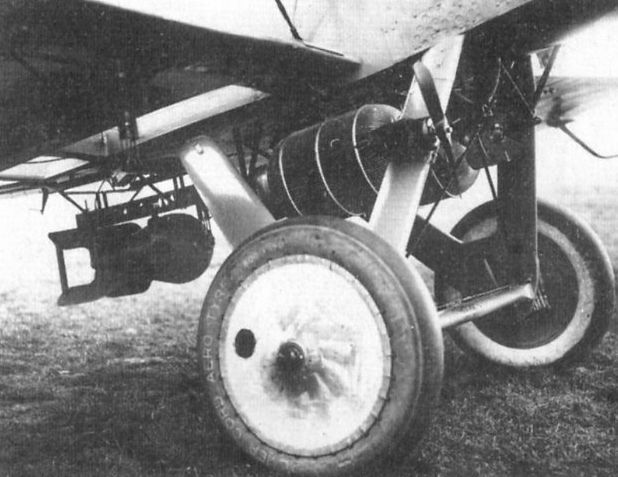 Photograph showing the armament of the D.H.9As flown for demonstration to the Spanish Air Force. Note the Lamblin radiators between the under­carriage legs for cooling the 350 h.p. Eagle VIII engine. After trials in Spain a batch of D.H.9As was ordered by the Spanish Air Force. 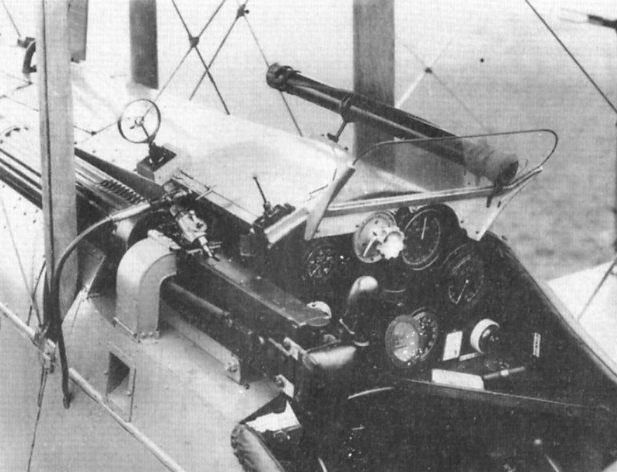 Photograph showing the cockpit of the D.H.9As flown for demonstration to the Spanish Air Force.